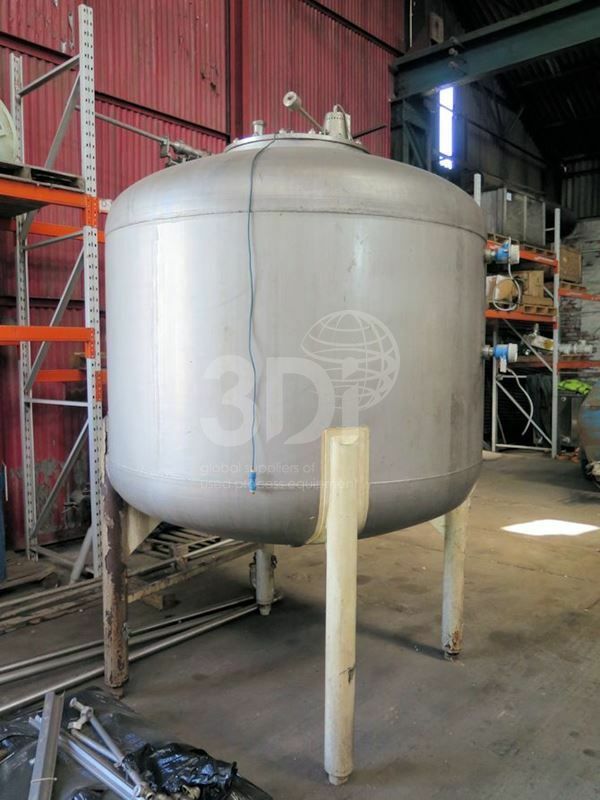 Used 3,000 Litre 321 Stainless Steel Storage Tank. Orientation: vertical, cylindrical, dished top and bottom. Dimensions: 1800mm dia, 1000mm on straight, 500mm dished top & bottom. Connections: 500mm top manway, complete with anti vac valve, 80mm inlets, 80mm bottom outlet. Ground clearance from bottom of outlet to floor 700mm. Supported by (4) steel legs. 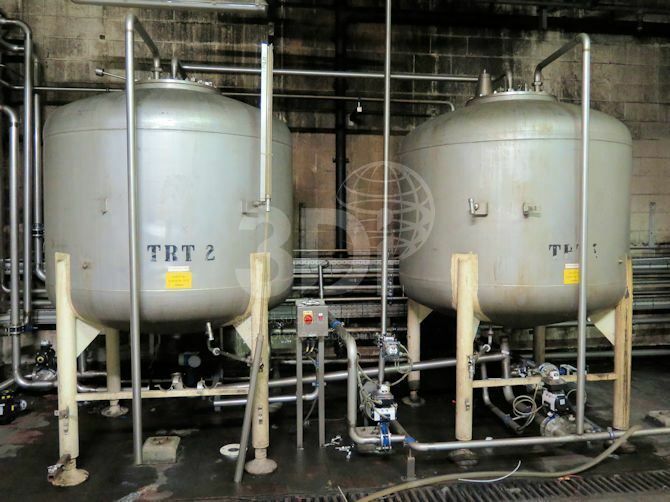 Previously used in the food and beverage industry.